Women asked and we answered with Women's Cedar Flex Pants. What customers love: "slimmer fit compared to Women's Original Tree Climbers; soft and comfortable; durable stretch; completely different from other work pants." Also available for men. Women shared with us what they are looking for (and having a hard time finding) in a work pant. We delivered the Women's Cedar Flex Pant. These sturdy yet comfortable pants, designed by women for women, feature ample and roomy pockets, our 3-Piece Rugged Gusset™ Crotch, a hammer loop, reinforced corners on the hand pockets for tape docks, articulated knees and our durable Cedar Flex stretch twill fabric for increased mobility, squatting, and kneeling, all with a more flattering fit. You won't find any “tiny zippers,” ""small, stupid pockets,"" or frilly, fashion features found in other women's wear. Women told us, ""we don't fit in men's pants and shouldn't be expected to."" We hear you. AMAZING. I'm not sure why other companies think it's ok to make inferior women's work wear, but THANK YOU for making such a quality product!! 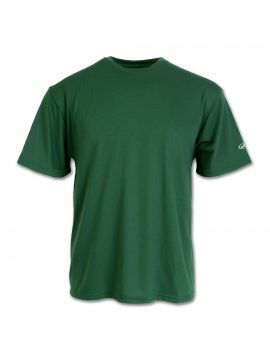 The fabric is high quality - durable and flexible, and they fit perfectly. Couldn't be happier! I work on historic sailing ships, climbing around and working with chemicals, power tools, you name it... these pants can hang. I've tried other brands, and so far this is my favorite. I LOVE these pants. They are long, which is very hard to find, and have a slim leg. I'm outside with large dogs all day and live in the PNW where it's very wet most of the time. These pants keep me dry, they are super comfy, and sturdy as all get out. LOVE them!! More colors please! By far the highest quality, workmanship and thought put into any type of pants I have worn. If the rest of your clothing is this well made then I look forward to trying out more of your products. The design of your material is genius. Finally! Work pants for women that fit AND function like they should. I can wear them for work planting trees and navigating through thick brush and they are flexible enough for a hike as well. I love these so much and can't wait for more colors to come out, I would buy them all. Wanted to let you know how much I am loving my new Cedar Flex pants. They are so very comfortable and warm, I wear them not only for landscaping work but also hiking and other outdoor endeavors. Also, I get a lot of compliments and inquiries about them from friends. I was looking for another pair of work pants, as my Carhartts were getting alot of use. These pants fit true to size and I put them on and they are so comfortable. They stretch and move right with me, when bending. I especially love the cell phone pocket at back of thigh on right. Its so necessary to have one these days, and this one has a top to it so my phone doesn't slide out, which happens in a back pocket. They are much sturdier than my Carhartts. They don't look bulky, either. My only problem was when looking to order, there weren't any photos of the back of the pants so I could see the pockets. I had to call the store to ask them what the back pockets were like. Also, the front photo didn't zoom in well so it was hard to see what the detail was like. I took a chance and got them, and was glad I did. If they offer another color, will probably get another pair in the future.